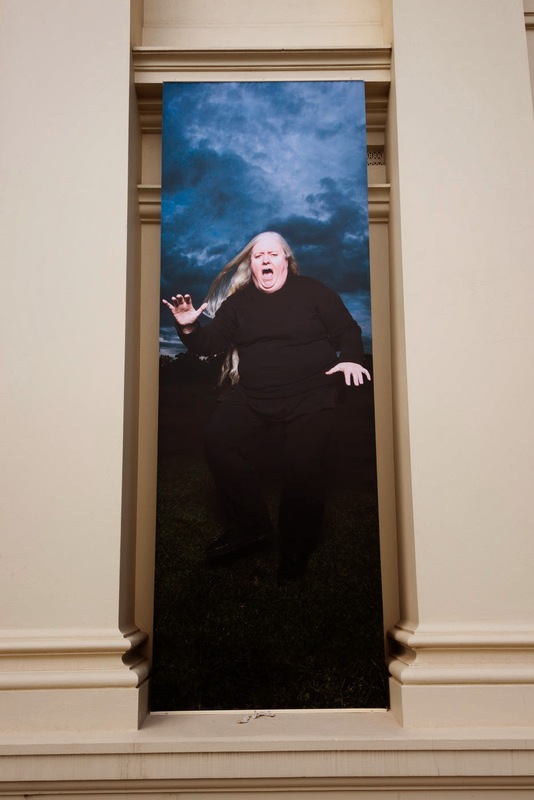 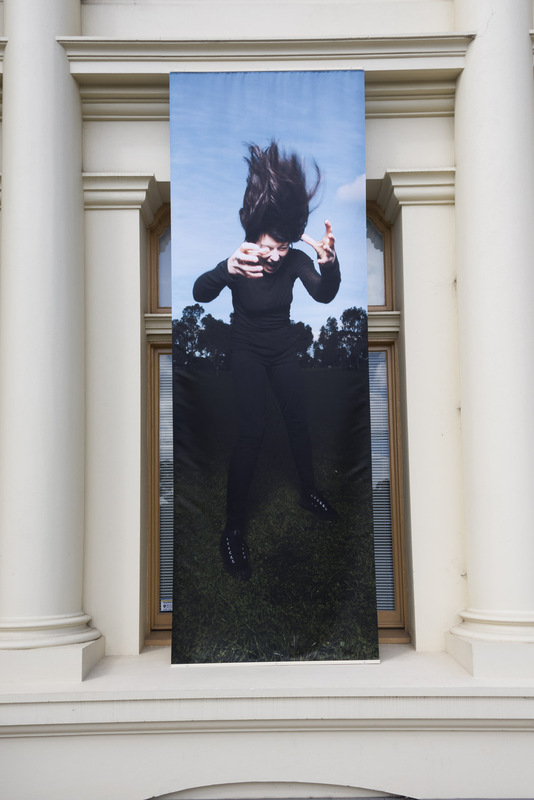 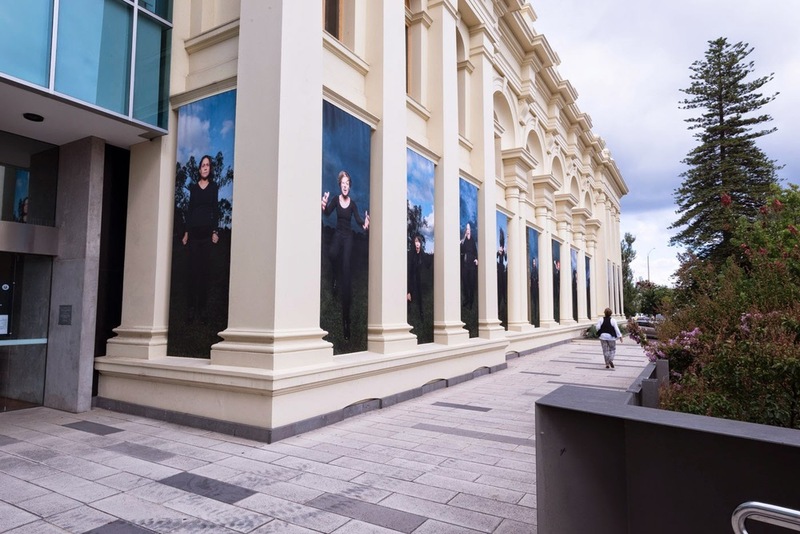 The Furies is a series of twelve towering banners of women on the façade of the St Kilda Town Hall, created in response to violence against women. 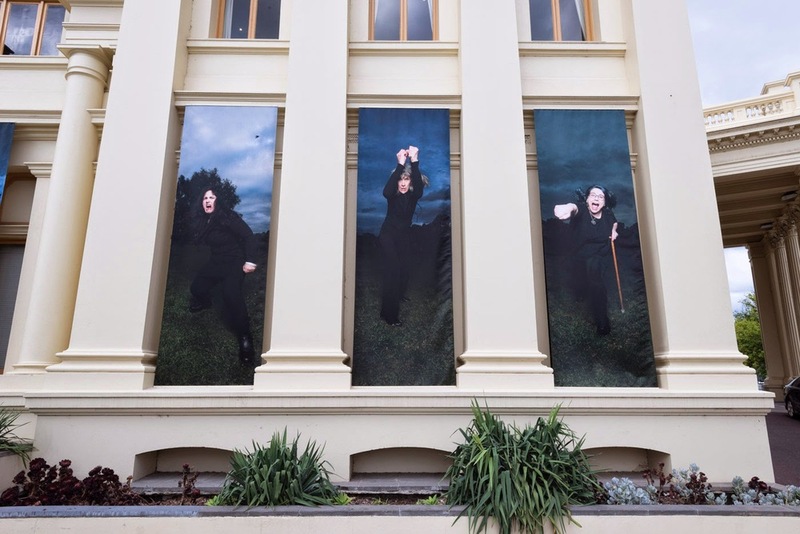 Just created The Furies on a Rupert Bunny Visual Art Fellowship, a biennial award granted to an artist in the City of Port Phillip to pursue a new direction in practice or develop a substantial body of work. 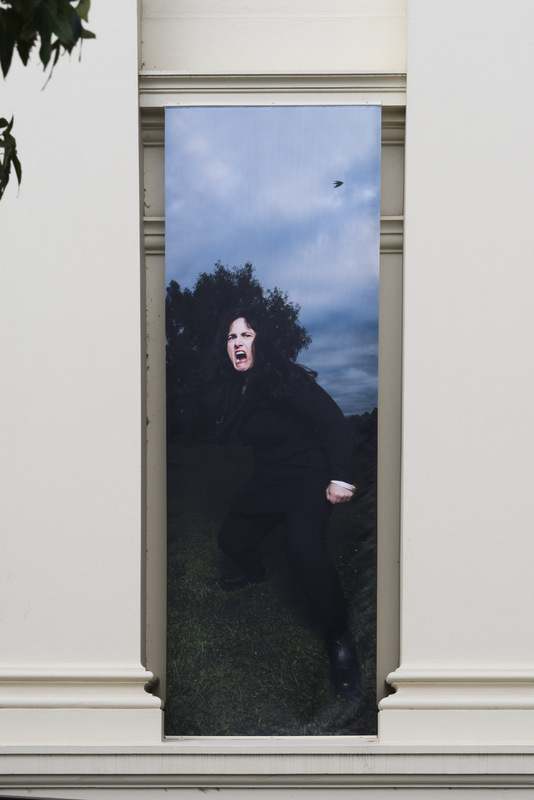 Representing diverse women from the local community in poses of self defense, The Furies reflects on women’s resilience and feelings of mourning and anger about violence. 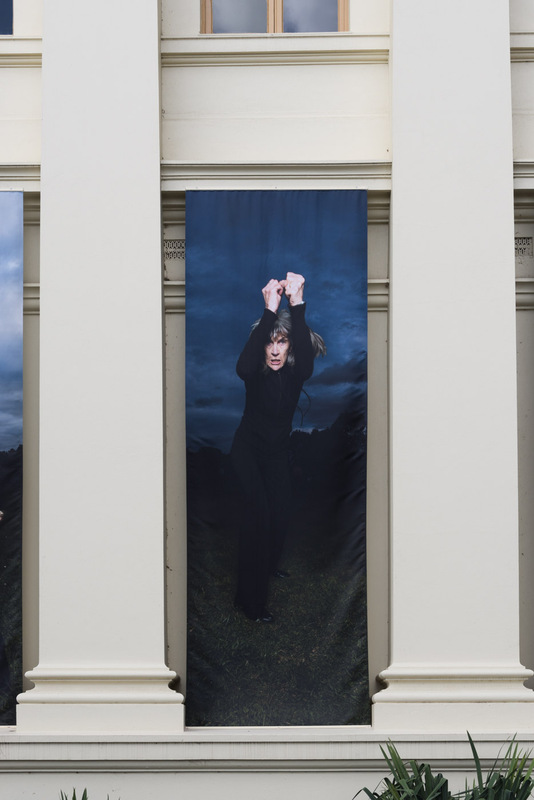 The moody, elemental images of The Furies sustain their connection to Greek myth. 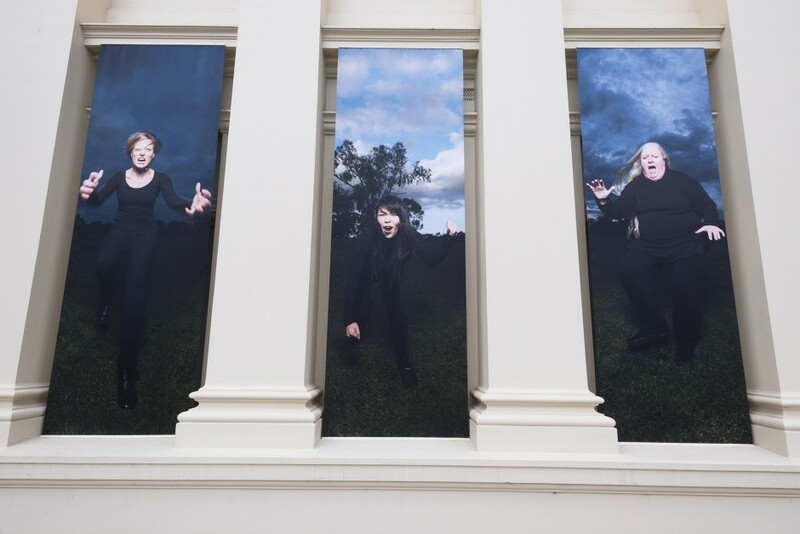 The Furies were deities of vengeance, born of night, or sky, and sought justice against those who had murdered family. 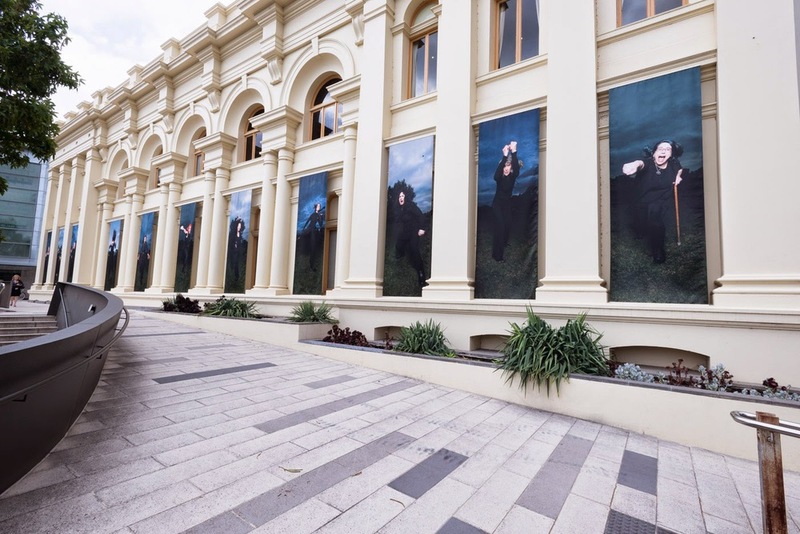 Nestled between the architecture of the town hall, the banners also refer to caryatids, or sculpted female figures which act as supporting columns in ancient Greek architecture. 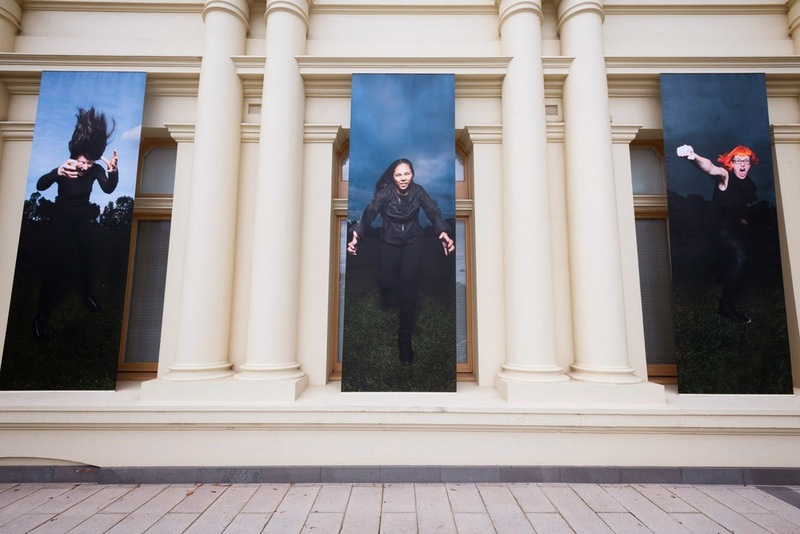 Just's Furies revise the caryatids' passive role, as they appear to launch out from the building. 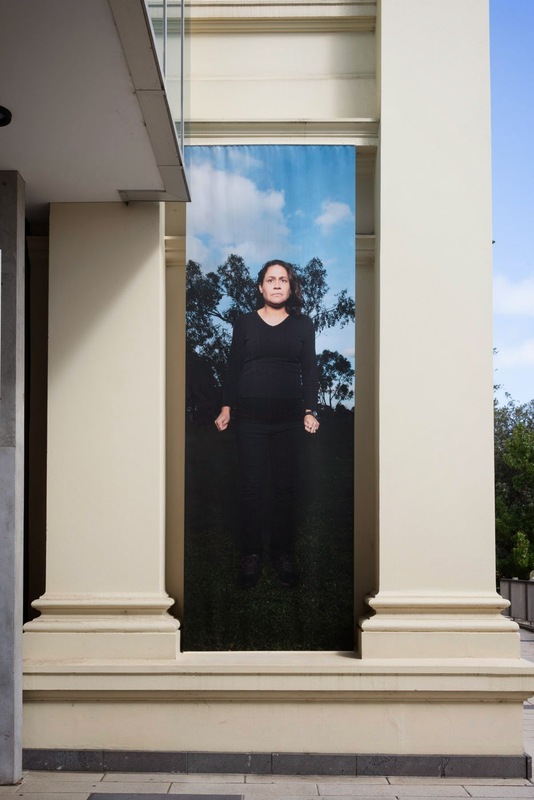 Read the catalogue essay by Caroline Phillips here and the opening speech by Janine Burke here. 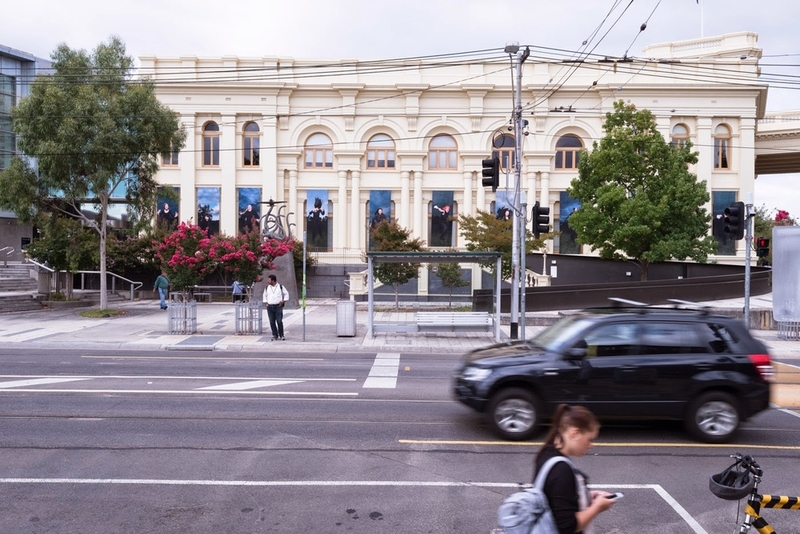 This project was assisted by the City of Port Phillip through the Rupert Bunny Foundation Visual Arts Fellowship and the University of Melbourne and VCA through their Faculty Small Grant Scheme. 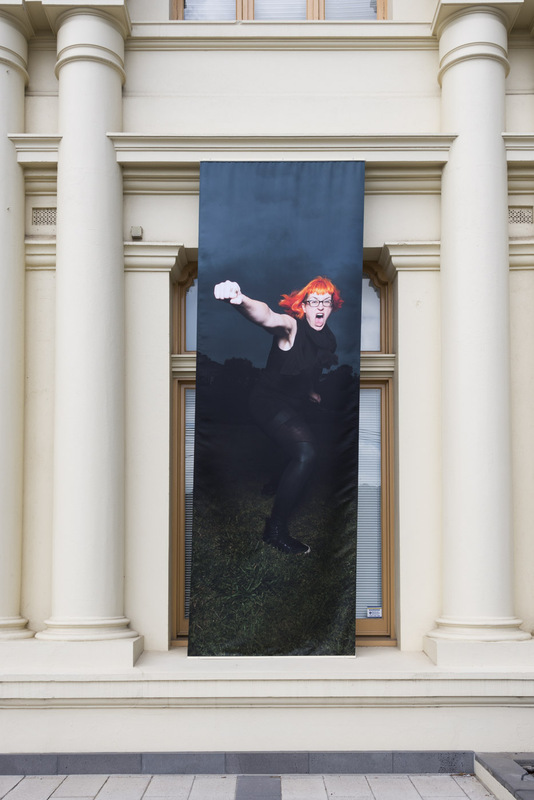 The project was supported by Simon Strong, Dangerous Dames Women's Self Protection, VIVAD and women in the local community.